The police raid on the Middle Earth Club in Covent Garden in June 1968 was a key event that led to the closure of London's premier music venue (and successor of the earlier UFO Club), where the latest bands performed amid clouds of glory and other substances. Serena's picture strikingly captures the ethos of the place and reflects her growing interest in theatrical photography. 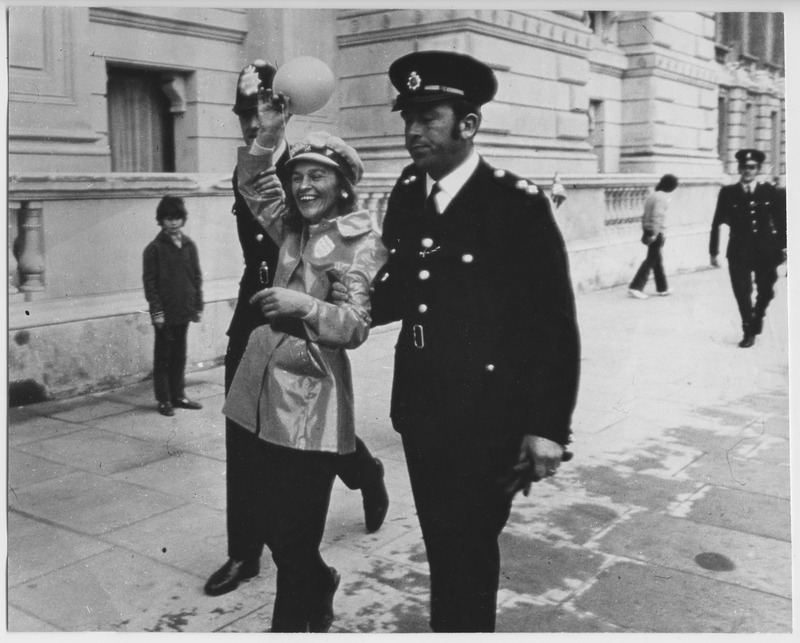 Serena Wadham , “Police raid on the Middle Earth Club, Covent Garden,” Morrab Library Photographic Archive, accessed April 19, 2019, http://photoarchive.morrablibrary.org.uk/items/show/14877.